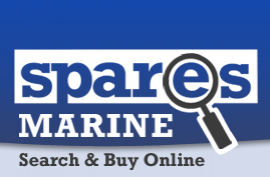 Here at Spares Marine, we place high importance on happy customers! After all, that's the proof that we're doing a great job! We know that before you shop, it's only natural to want to see what others have had to say about us. We're pleased to include just a selection of the comments we're receiving on a regular basis. Our commitment remains to help as much as we can, and it's good to know we're getting things right..
"Wow! Super swift battery change and postal turn around for my PLB! Thanks so much for your excellent service!" "Thanks for getting back to me so quickly. I've just ordered that service kit you recommend on line through your company." "Great to know you guys exist!" "Ordered this morning & it arrived the next day! Excellent Service!" "Absolutely first rate in all areas!!" "We'll definitely shop with you again.. Thanks so much for all your help"
"There's little left to say when a supplier goes the extra mile as Spares Marine have. "Really thought I'd be replacing my plotter, until you helped me out - Wonderful service!"